Spacious and beautiful Christie Lake home with 2,800 sq. ft. of living space. 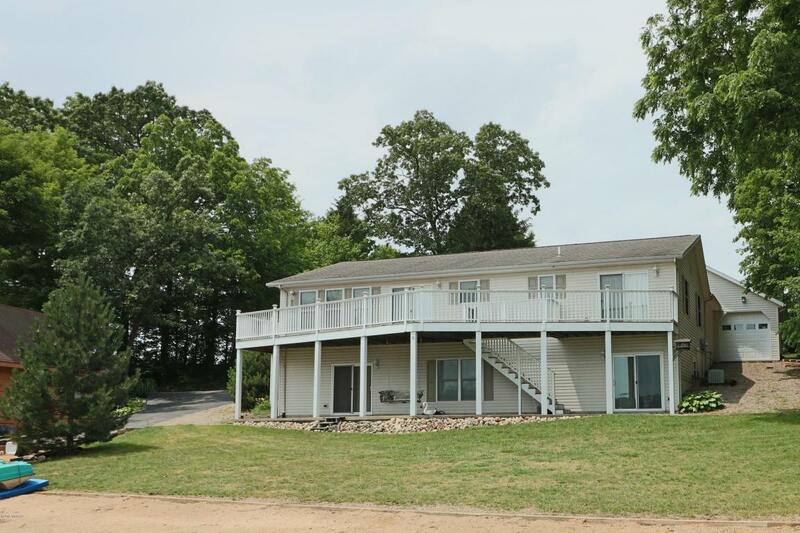 You have an incredible full view of the lake from the walkout patio, the upper deck, or from a lounge chair at the water's edge with the 96 ft of sandy beach frontage. Warm and inviting with a terrific open floor plan. Gas fireplace in the living room. Ceramic in the kitchen, hallway, dining, and lower living walkout area. The master suite includes a panoramic lake view and access to the deck, a walk-in closet, and private bath. The dining area also has sliding doors to the deck. All six bedrooms are nice and spacious. The fully finished walkout level includes a family room, wet bar with seating, full bath, and laundry, along with three bedrooms. It's perfect for entertaining family and friends.